Read the full brief to learn about each effort’s goals/purpose, key stakeholders, notable details, accomplishments, implications, and upcoming activities. We also share information on military-informed care and the deployment cycle. Suggested citation: Adelstein, S., Longo, F., & Shakesprere, J. (2019, March). 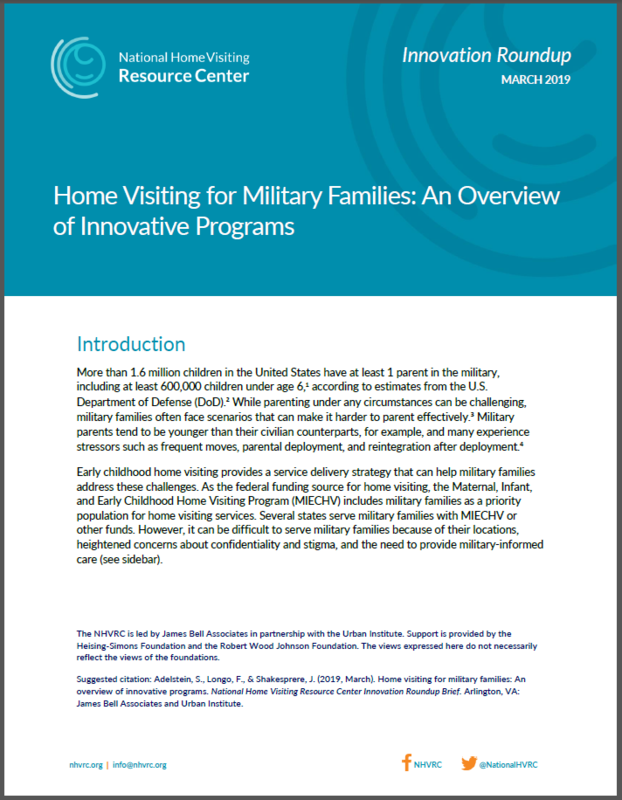 Home visiting for military families: An overview of innovative programs. National Home Visiting Resource Center Innovation Roundup Brief. Arlington, VA: James Bell Associates and Urban Institute. *See the full brief for references.